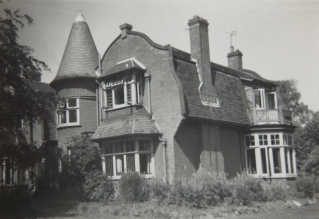 In 1885 Canon Allen Edwards, supported by the workers of the London and South Western Railway, opened an orphanage in Clapham for the children of railway workers which in 1909, moved to Woking where it could accommodate 150 children whose fathers had died during their work on the railways. 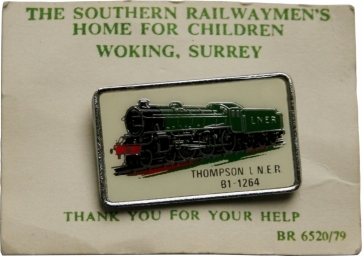 In the 1960s the site became known as the Southern Railwaymen's Home for Children and Old People. It is now part of Woking Homes which caters solely for retired railway and transport personnel and their spouses. According to Screen Archives South East, mothers could visit their children in the orphanage but this might only be once a month and "typically, the children remained at the orphanage until the age of 14 (later 16), leaving the institution with a hand-picked outfit and a guarantee of welfare support until the age of 21". Woking Railway Orphanage in Derby served the south of the country, there was another Railway Orphanage in Derby which served the north of the country. Thanks are due to Screen Archives South East for the above information. Most of the photographs are pictures of very young children playing or portrait shots of the children. 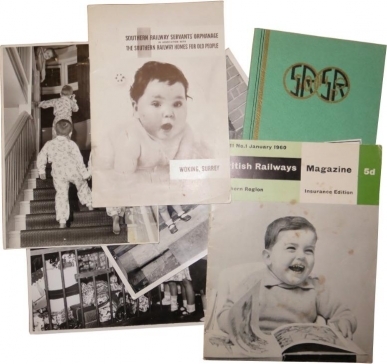 We believe that the children may have been in the nursery and that all the photographs date from 1955 to 1959. Some are professional photographs, others are snaps. Most have names on them. I would love to be able to reunite these photographs with the people pictured in them. 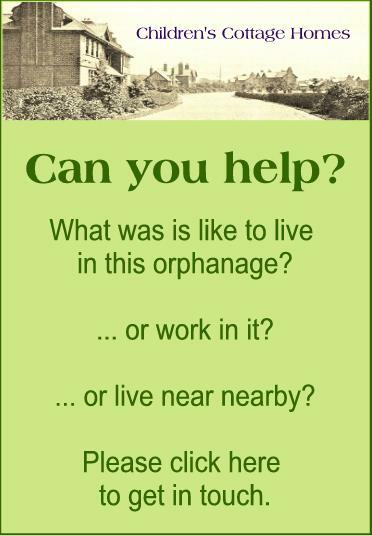 If you were at this orphanage in the mid to late 1950s, please contact me and we'll see if you are featured. Some records are held by the National Railway Museum Research Centre. 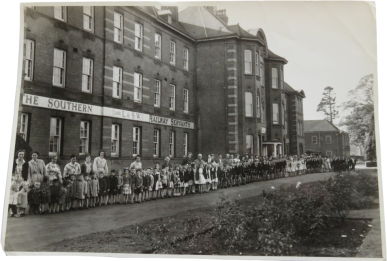 Four films about the orphanage are held by Screen Archive South East: Southern Railway Orphanage at Woking (1926 - 1933); Southern Railway Orphanage - Sports and Fetes (1950 - 1951? ); Southern Railway Orphanage - Life at the Home (1952? ); and Blue Peter: Handing Over a Puppy (1965).